Plant Tycoon is an excellent game for anyone who is a fan of tycoon games. As a very peaceful and addicting game, both parents and children are sure to adore this game. 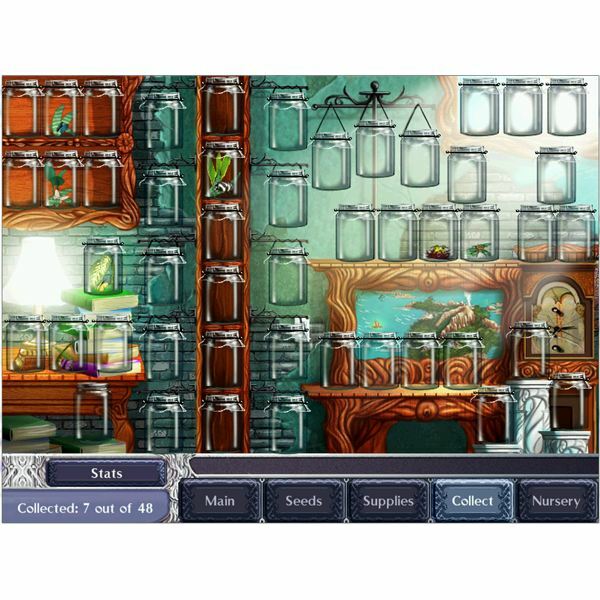 This game is very similar to Fish Tycoon, except that you're tending to plants in a garden instead of fish in an aquarium. The PC game Plant Tycoon is played in real-time, which gives the game a very realistic feel to it. Beginning players start with four growing plants and four seeds. Besides the plants and seeds, new players are also given a set of tools, $250, and plant food. Both your money and your food supplies will deplete quickly, so it's best for players to earn money as quickly as possible. Yet, how should you go about earning money? In Fish Tycoon, players had to sell adult fish in order to make money. 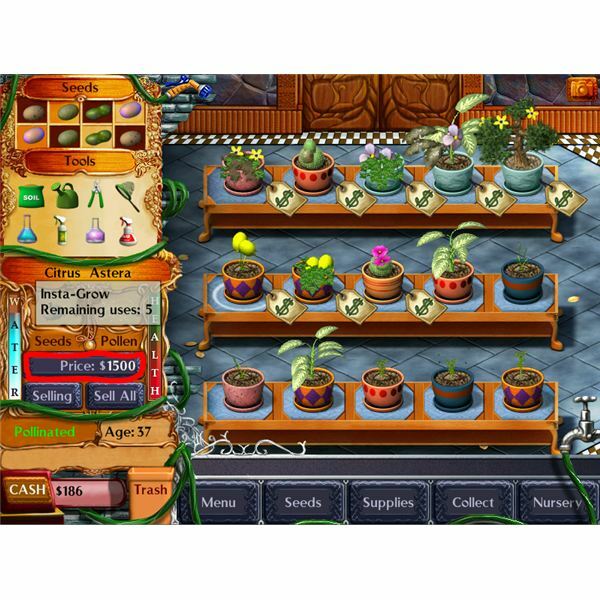 Since this game is called Plant Tycoon, it only makes sense that players would be required to sell grown plants for profit. Soil must be added to a pot and watered before seeds can be planted. Once these seeds are planted, players must water the plants to prevent withering. Typically, most plants bloom in an hour after being planted in a pot of soil. When a plant is mature, the player has two options. 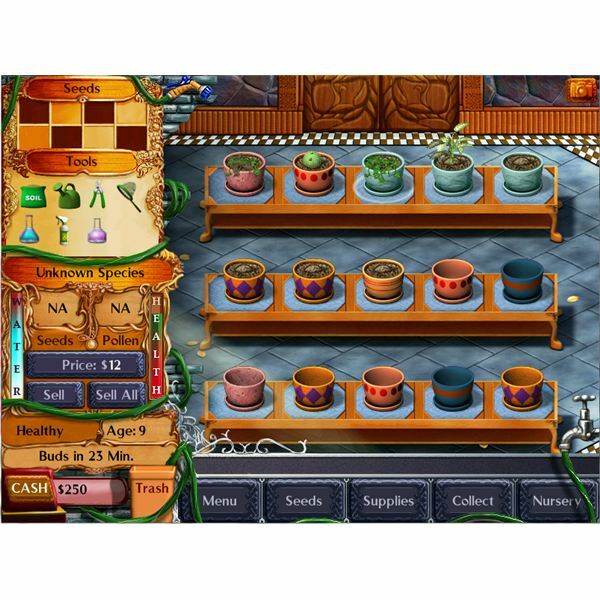 Players can either sell the plant right away, or pollinate it in order to get seeds. Playing Plant Tycoon is very relaxing, and not at all difficult. Yet, despite how simplistic the game is, there are some tips and hints that will make game play much more satisfying. Fortunately, these tips are rather simple and can be used by both children and adults. Consistency is a very important factor in this game. You should water and take care of your plants at least once a day to prevent them from dying. This is the only way you'll be able to collect all the rare species of plants and make a pretty penny in the meantime. Missing just one day of watering can easily set your game progress several days back. Without regularly visiting your plants, there's always the chance of a rare plant growing and dying before you can obtain its seeds. Although collecting bugs that randomly appear on the game screen with a net may seem like a useless, boring game feature, it truly isn't. It's a nice feature to play with when players are tired of tending and selling their plants. Once you've collected every bug there is to catch, it gives players a sense of accomplishment. Collecting most of the bugs is actually an easy task, but the rarer bugs are much more difficult. The rarer bugs tend to flee quicker and they are typically harder to find in the first place. sold at a higher price, but not too high unless you want to wait forever before they are sold. For regular plants, you're best sticking to the average price of $10 to $20. Rarer plants are priced a larger sum of money. Usually, you should stick with the price that the game gives you, or the unaltered price. Price items incredibly high in real life wouldn't work for a business, so why should it work for a game? All pictures in this article are screenshots of the PC game Plant Tycoon. These screenshots were taken by me for the purpose of adding them to this article.